The upper lip has a low vertical groove called the philtrum on its external surface located in the middle of two raised rims of skin. By merging of the medial nasal processes the philtrum and ridges are developed embryologically. 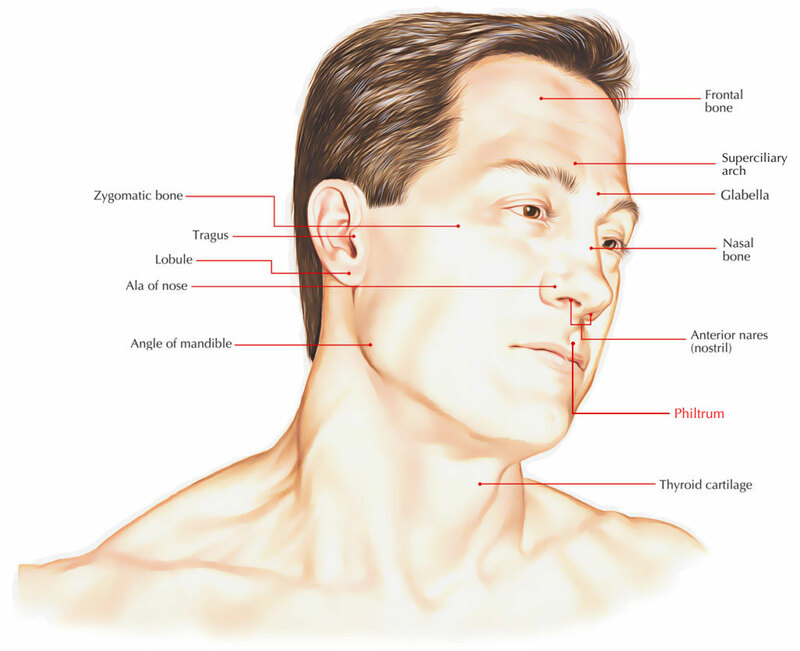 The human philtrum has no function. • A flat Philtrum is often associated with Congenital, Cognitive and growth disorders. Most are genetic or inborn disorders, which may involve slow growth, metabolic defects like obesity, slow cognitive abilities etc. • A broader than average philtrum is among a group of physical anomalies related with autism.